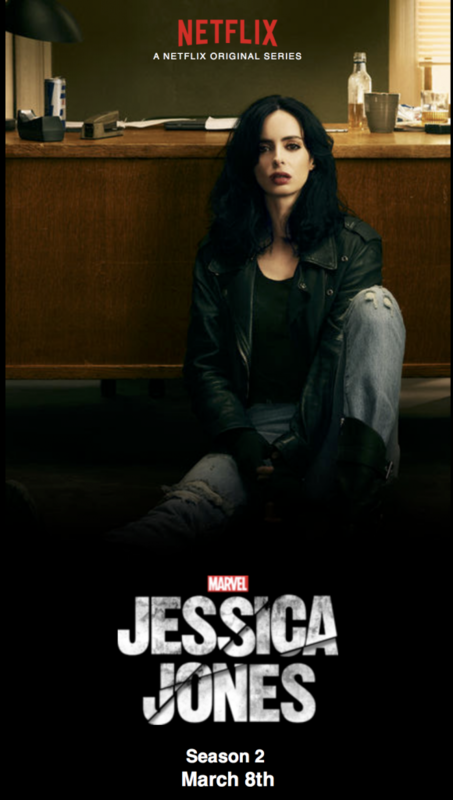 Netflix just announced that Jessica Jones Season 2 will debut March 8th, 2018! Most importantly, by trying to run a business that did two things well, we inevitably were forced to make an endless series of compromises that resulted in us doing neither of them well. Our landing page and sign up flow had to accommodate two different paths. Our checkout process needed to handle two types of transactions. Our shipping process had to accommodate two different types of products (one that had to come back and one that didn’t). Our content system had to accommodate titles we could only rent, ones we could only sell, and ones where we could do both. In hindsight, it seems like such an obvious decision to stop selling and focus on renting. But wow – for a young CEO like myself — turning away from the source of 95% of our revenue was just about the hardest thing I had ever done. Well, this has been quite a day for Netflix. This is the first day in which the new rates take effect, and now comes word that Starz is going to end it’s content distribution agreement with Netflix on February 28th, 2012. I’ve subscribed to Netflix for a number of years. It’s been great getting DVDs delivered right to the house. I’m one of those subscribers that Netflix made some money on, since I kept those DVDs much too long. I know, I know, I shouldn’t have done that, it defeats the purpose…. yeah, yeah yeah. I liked the service. I liked getting the DVDs right to the house. Very easy. We use the streaming portion of the Netflix subscription all the time. From the Roku, computer, phone… we use it all the time. It’s great. The subscription hike that Netflix announced to subscribers in July changed that. The plan went from $9.99 for unlimited streaming and unlimited DVDs to $15.98 for the same thing starting today. At $2 a month, forgetting to drop the discs in the mail… well, I can live with that. But bump that up another $6, and that Redbox around the corner starts to look good for first run movies. The big downside to all this is the old catalog of movies Netflix has, but that aren’t on streaming, all go away for us, at least on Netflix. What’s the alternative? If you have Amazon Prime, you might not realize it, but you’ve got a free streaming movie service there as part of your subscription. In fact, if you do have Amazon Prime, you might be tempted to drop Netflix altogether. I’m not sure I’d do that, simply because the Netflix streaming library is a lot bigger. At least it has more things that I like to watch. But it has to get a lot bigger, and it has to start to have first run movies if they’re going to keep their subscriber base. But what about the old movies? The kids have been wanting to watching the original Planet of the Apes, but since Netflix had a huge wait for that movie (since a new Ape movie came out this summer), we missed out on that. Amazon to the rescue on that one. I can rent it for $2.99 for a night… still cheaper than continuing that Netflix subscription. I don’t like it, but I “get” why Netflix is doing this. They want to transition people from DVDs to straight streaming, because the longer they wait to do it, the harder it will be for them to make that transition. I just think they’re doing this much to soon. So, Redbox, you’re getting my business. I like being able to rent DVDs in one town, give it to the family riding along in the back, and letting them watch on the way back home. I like being able to drop those off in my home town. I like that I can rent movies for $1 a night, reserve them on my phone ahead of time and just pick them up. And for the $7 a month I’ll be saving by not going to the higher priced Netflix subscription, in the long run I’ll save month. No more discs sitting around for 2 months without being returned. Yup, that’s what it took for me to stop being lazy. Jack up the prices. Netflix… it was fun getting those discs while it lasted. One more thing: If you’ve never seen Planet of the Apes, don’t look at the DVD cover for the movie. Some absolute moron put the big “surprise” of the movie right on the cover. What an idiot. Watch out Netflix. It’s been rumored for a while that Amazon Prime Customers will be getting access to “Amazon.com Instant Video” for Free. NetFlix has finally gotten streaming going for the Mac. It’s been available for the PC for quite some time now. The other thing that’s been quietly happening is that Netflix has been getting their streaming software onto Blu-Ray DVD players, like the LG BD300 Network Blu-Ray Disc Player . Netflix has been slowly adding DVDs that you can start watching over your computer or specially equipped DVD player, and they even have a separate device called the Roku (for $99!). LOS GATOS, Calif., Sept. 23 /PRNewswire-FirstCall/ — Netflix, Inc.(Nasdaq: NFLX), the world’s leading online movie rental service, todayannounced separate agreements with the CBS Television Network and Disney-ABCTelevision Group that will allow current season episodes of a number oftoday’s most popular TV shows to be streamed at Netflix. The two deals addmeaningfully to a growing library of 12,000 choices that Netflix members canwatch instantly on their PCs and TVs as part of their existing subscriptionplans and without impacting the number of DVDs they receive. The CBS deal brings to Netflix the global phenomenon “CSI.” Starting inOctober, when it returns for a ninth year, current season episodes of theoriginal “CSI: Crime Scene Investigation” can be instantly streamed atNetflix. Beginning this week, current season episodes of the hit spin-offs”CSI: Miami” and “CSI: NY” join the roster. The CBS agreement includes twoadditional current hit shows, “NCIS,” which dramatizes the Naval CriminalInvestigative Service of the U.S. Navy and U.S. Marine Corps, and the FBIdrama “Numb3rs,” from producers Ridley and Tony Scott. “NCIS” returns for itssixth season this week and “Numb3rs” is back for a fifth season in October. The agreement for Disney Channel content centers on three of the Channel’soriginal series — “Hannah Montana,” “Wizards of Waverly Place,” and DisneyChannel’s newest original series, “The Suite Life on Deck,” a spin-off of thehit, Emmy-nominated “The Suite Life of Zack & Cody,” starring fan favoritesDylan and Cole Sprouse, Brenda Song and Phill Lewis and introducing DebbieRyan. The series premieres Friday, September 26. “Wizards of Waverly Place”and “The Suite Life on Deck” can be streamed instantly at Netflix beginningthis week, 24 hours after each episode’s initial broadcast. Disney Channel’ssmash hit comedy series “Hannah Montana,” starring multi-talented Miley Cyrus,will be available online at Netflix beginning this November. Brokered byDisney-ABC Domestic Television, the deal represents the first Netflix digitallicense for Disney-ABC Television Group content since Netflix launched theinstant streaming component of its service 18 months ago and is a significantaddition to the company’s lineup of studio and network partners. The agreements with CBS and Disney Channel also add catalog shows to thelibrary of choices that can be watched instantly at Netflix. Some 500episodes from Disney Channel’s kid-driven, family-inclusive programminglibrary, including previously aired episodes of “The Suite Life of Zack &Cody,” “Wizards of Waverly Place” and “Hannah Montana,” as well as episodes ofthe popular animated series “The Replacements,” “Lilo & Stitch: The Series,””The Emperor’s New School” and many others, will come online to Netflixbeginning in 2009. Some 350 CBS episodes covered in the deal include prior seasons of thethree “CSI” series and “Numb3rs,” the first two seasons of the popular”Jericho” series and, among others, episodes from TV classics such as “StarTrek,” “MacGyver,” and “Family Ties.” The catalog episodes will come onlinethis fall. 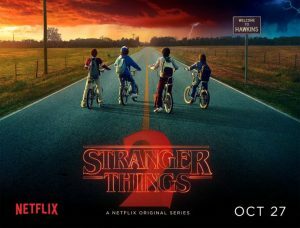 As Netflix continues to expand the online content it offers its members,the company is also partnering with leaders in consumer electronics to bringto market a growing number of network devices that can instantly stream moviesand TV episodes from Netflix directly to subscribers’ TVs. The Netflix Playerby Roku was introduced in May to strong reviews and Netflix has previouslyannounced plans to instantly stream movies and TV episodes via Microsoft’sXbox 360 game console and LG Electronic’s LG BD300 Network Blu-ray Disc Playerstarting this fall. Netflix, Inc. (Nadsaq: NFLX) is the world’s largest online movie rentalservice, with more than eight million subscribers. For one low monthly price,Netflix members can get DVDs delivered to their homes and can instantly watchmovies and TV episodes streamed to their TVs and PCs, all in unlimitedamounts. Members can choose from over 100,000 DVD titles and a growing libraryof more than 12,000 choices that can be watched instantly. There are never anydue dates or late fees. DVDs are delivered free to members by first classmail, with a postage-paid return envelope, from over 50 U.S. shipping centers.More than 95 percent of Netflix members live in areas that generally receiveshipments in one business day. Netflix is also partnering with leadingconsumer electronics companies to offer a range of devices that can instantlystream movies and TV episodes to members’ TVs from Netflix. 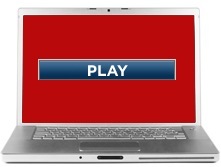 For moreinformation, visit http://www.netflix.com/.